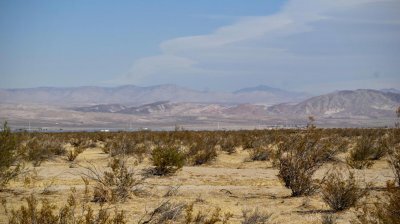 Staying along the northern tip of the Antelope Valley within the Kern County, Cantil is an unincorporated community that boasts of ideal amenities perfect for anyone seeking quiet yet comfortable lives. Schools offering alternative education for students who have some problems with the regular school systems are offered along with scenic desert landscapes that had been used as site locations for many Hollywood movies. The natural country-theme of Cantil is perfect for those running away from the hustle and bustle of urban jungles. It features a wide-array of properties that come with charming designs and lifestyle amenities. So if you plan in to move right at one of its beautiful neighborhoods which also enjoy low crime rate, then it would be beneficial to acquire the services offered by JohnHart Real Estate. The well-established company will partner you with a skilled real estate agent who will offer a lot of options for you like allowing you to choose from the reasonably-priced properties listed under the Cantil short sale list. Distressed of mortgage problems like default, is on the brink of bankruptcy and wanting to sell? If you are then try putting your home under the Cantil short sale listing. This is a good option for those with such problems and can be done stress-free with the help of our company’s team of seasoned and skilled agents. Other forms of mortgage help we usually offer in such situations include loan modification and foreclosure prevention. Both offer homeowners the chance to have their home value priced within a favorable range.